Pharmacy compounding is the art and science of making personalized medications for patients. A compounding pharmacy is a special kind of pharmacy that specializes in the preparation of medications by mixing raw ingredients. Compounded medications are made based on a practitioners prescription in which individual ingredients are mixed together in the exact strength and dosage form required by the patient. Compounding dates back to the origins of pharmacy, although compounding’s presence within the pharmacy profession has evolved over the years. Within the 30’s and 40’s, all of the prescriptions were compounded. With the arrival of mass pharmaceutical companies within the 1950’s and 1960’s, compounding declined because the pharmacist’s role as a preparer of medicines quickly modified into a dispenser of factory-manufactured drugs. Compounding allows the pharmacist to work with the patient and the prescriber to customize a medication to meet the patient’s specific needs. See How We Have Changed To Help You Meet The Needs Of Your Patients In The Evolving Sterile Pharmacy Compounding Environment. Routine monitoring of the clean room via outside certifying agencies. 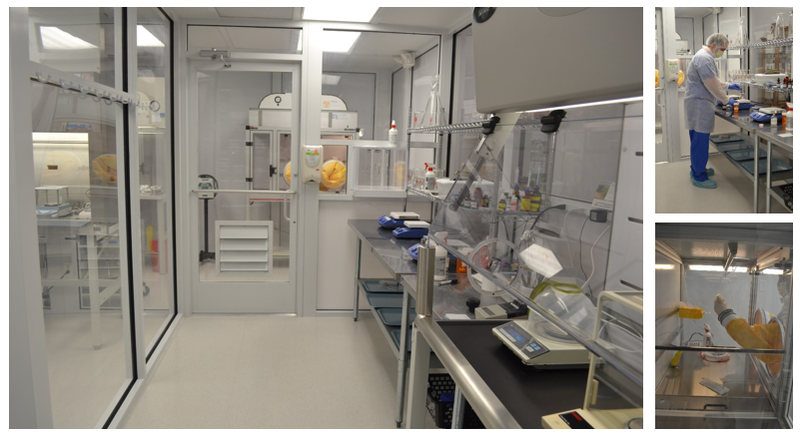 Routine assessment of clean room & compounding staff via in-house validation & environmental monitoring programs. Compliant garbing, hand hygiene, & aseptic technique procedures. Validation of compounded sterile products via sterility & endotoxin testing as well as in-house filter integrity testing. The most important benefit compounding offers is for those who may have difficulty taking or responding to big-box medications -- whether you're allergic or sensitive to preservatives and dyes, don't respond well to standard drug strengths, have difficulty swallowing pills, or react adversely to a medicine's taste. Working with your physician, Dorneyville Pharmacy can prepare medications in unique delivery systems and dosages that are not generally available. The result? A better way to take medicine, for a better you. Here are a few examples of the unique delivery methods we can offer. Medication can be compounded into individually customized capsule form, especially in cases where an alternate strength is required or to omit potential allergens irritants. Topical or also commonly known as transdermal methods of delivery also are widely used because they allow the absorption of medicine directly through the skin. Gels, emulsion creams, sprays and lip balm stick applicators are easy to use and are effective in getting medicine into the bloodstream quickly. Lozenges or sublingual drops are a popular way to keep drugs in your mouth when local action is needed there. They also can be placed under your tongue to dissolve, which allows the medication to enter your bloodstream quickly and easily. We can make a naturally sweetened, pleasant-tasting oral solution or suspension that can be administered easily and accurately. We can also compound ear drops and nasal sprays. Those who can't take medications orally are prime candidates for compounded suppositories. Available in various shapes depending on administration, suppositories can be given rectally, vaginally or urethrally. Because many patients have a difficult time taking medicine, a number of dosage forms can be custom-prepared for easier ingestion. Many medications can be taken through a flavored lollipop or a frozen popsicle. Others can be taken as chewable "gummy" treats.